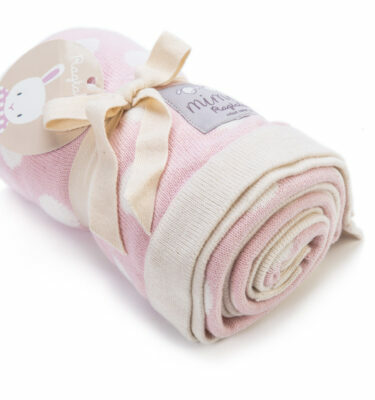 Made from the softest 100% cotton yarn. 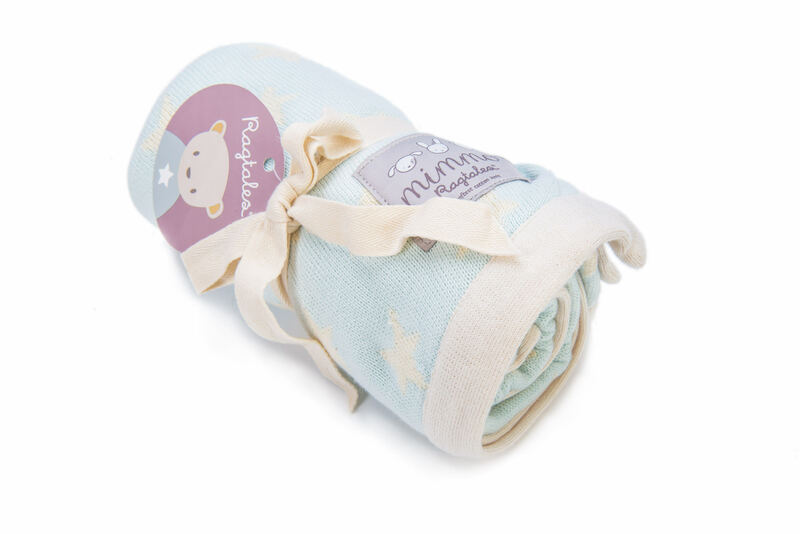 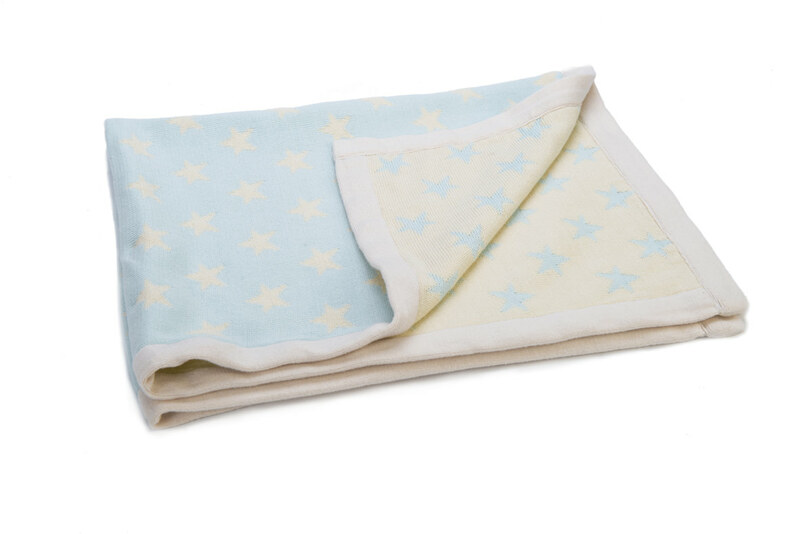 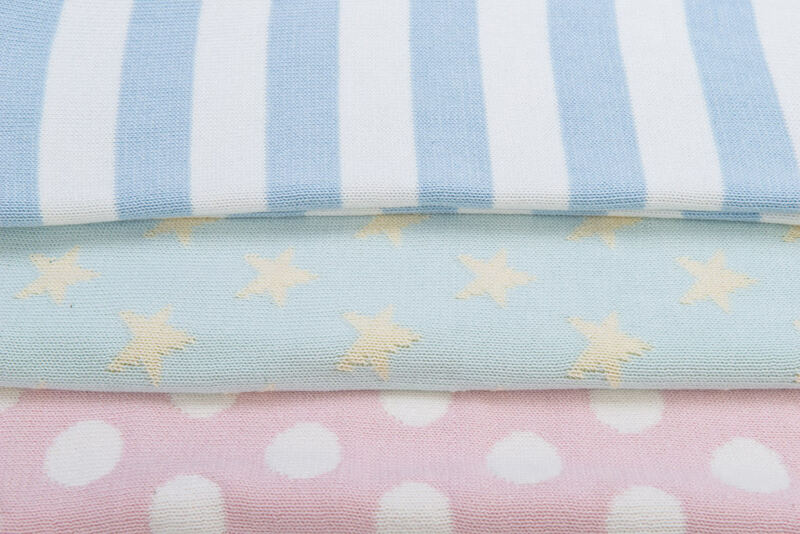 This luxurious, baby-soft blanket is made from the softest 100% cotton yarn, and is prewashed to ensure a gentle softness, whilst assisting maintenance of the shape and size of the blanket. 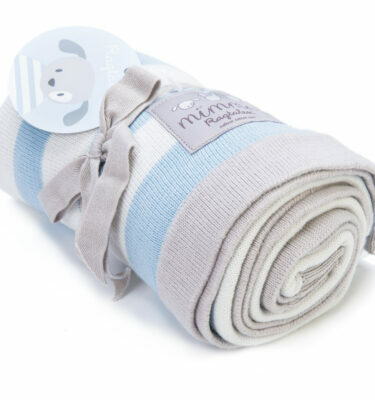 With a double sided pattern and styled to perfection, it has been knitted in beautiful two-tone colours, duck-egg and cream. 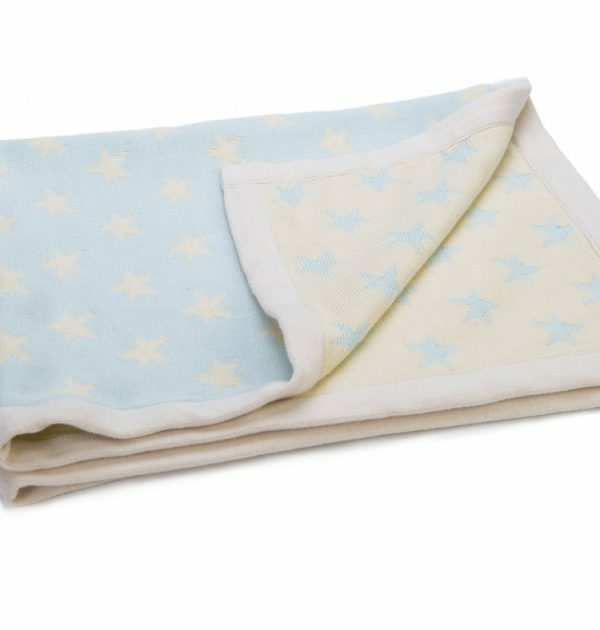 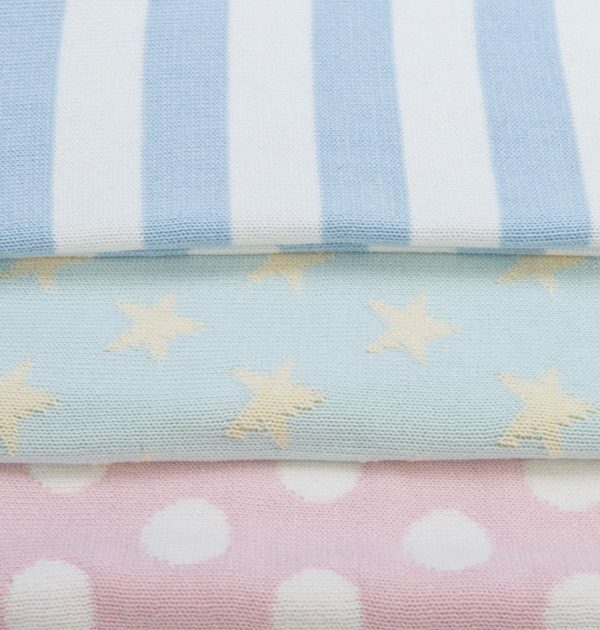 Being double layered thickness and hard wearing, and measuring 70 x 90 cms, it is an Ideal size for a cot, pram or a baby comforter.